This is the most important point of all. You sales page must be focused on your customers and the reasons that have led them to your website. Surprisingly, this is an area where most web designers fall behind. It is important to note that customers don’t visit your website just to hear how good your product is. They are there because they have a problem that they’re seeking a solution for, and something or someone has pointed them in your direction. If you’re able to understand this point and are able to incorporate it in your content, copy, and design, it will go a long way. This is where the magic happens. Your content and your copy is how you introduce yourself to your customers, engage with and help them understand how you can solve their problems. 1. Strong Headings – Analysts say that most customers will never read beyond a headline. This is why it is of utmost importance that your headlines are able to draw the attention of your readers and urge them to read on. 2. Persuasive First Paragraphs -If your headlines have managed to draw the attention of your readers, the next step is to engage them with your first paragraph. First paras set the tone of your copy and help a reader decide if he or she should continue. First paras are your promises, and should be used to explain to your audience, honestly and clearly, about everything that you can do for them. 3. Effective Subheadings – Since you can’t declare everything as headings, without making your copy seem monotonous, you can use subheadings. These stand out less than headings, but can make your copy look good and draw the attention of scrollers, and have them pause to read your content. 4. Engaging Stories – Stories are one of the most effective techniques for writing engaging copy. Transformative stories where the author or an example evolves from failure to success can be used to help a reader imagine themselves as your customer and understand what your product can do for them. 5. Strong Call to Action – This is the end of your copy and its focal point. This is where your customer will judge the effectiveness of the pitch and whether they are willing to “buy”, “join” or “download”. Your call to action should be preceded by a line of copy to remind your customers about everything that you talked about before. Your actual call to action should be a clear, explicit statement of what you would have them do. This clarifies your pitch and helps your customers decide if they should stay with you. 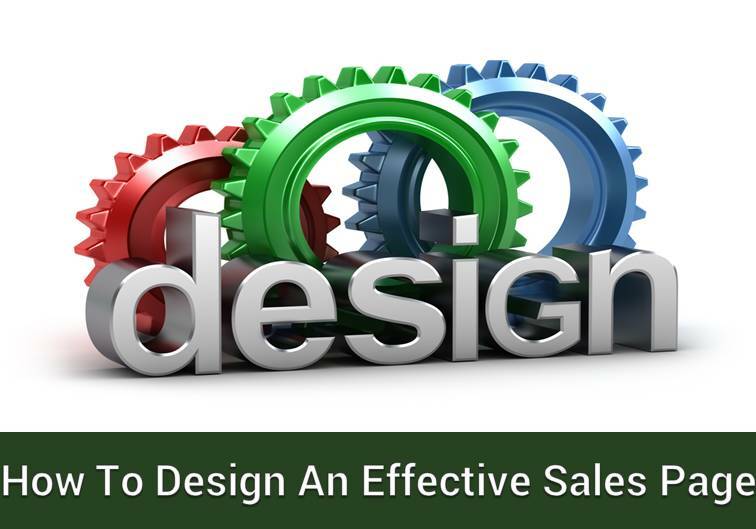 Design plays an equally important role in a sales page. A well-designed website, separated by images, coloured highlights and bold words can make your copy extremely easy to read and therefore urges your customers to stay longer on your website. This does not mean that you should overdo your design. Keep it simple, elegant and at balance with your copy. In fact, good design is always married to the copy and supports the reading flow. You can always support your CTAs with promotions, offers and discounts to make your customers feel like they’re getting more than what they’re paying for. This can be a discount, a free e-book, or a free 30-day trial. Time-limited offers and discounts can further urge your customers to make quick decisions. More often than not, the testimonial sections of webpages are used by content managers merely as a medium to boast about the product. This is a wrong practice. Testimonials have a very important role to play in your sales page and your sales pitch. They can be used to build trust among customers and answer their doubts and real world questions and help them understand the experiences of other customers. If you are an individual or a business looking to better attract and engage with your clients online using powerful and effective sales pages, we, at Global Media Insight, can help you out. With over 14 years of experience in digital technologies and social and digital markets, we excel at driving engagement by optimizing your business’s online appeal, reachability and connections. Get in touch with GMI to establish effective and robust digital marketing strategies that span platforms and channels.